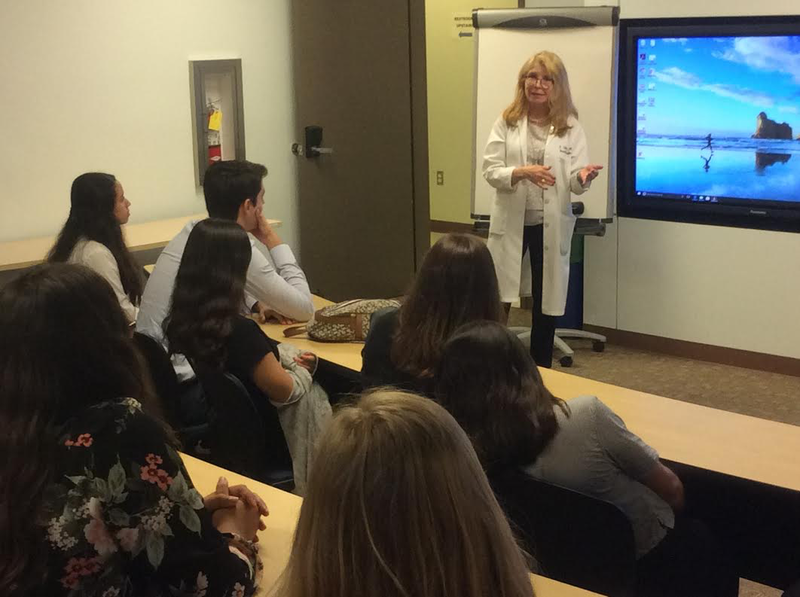 Whether discovering new cancer treatments or teaching healthy lifestyle choices to their communities, today’s biomedical science professionals are tackling big challenges to make the world a better place. 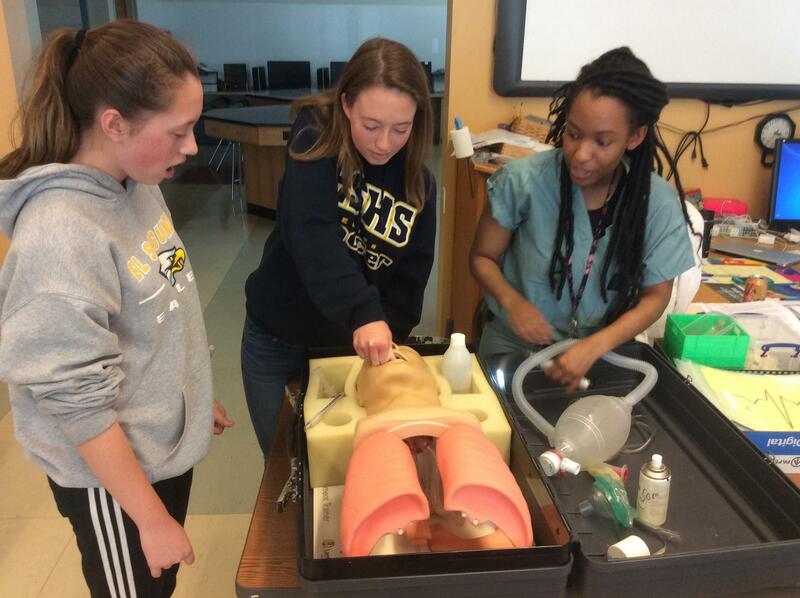 Now, ESHS Biomedical Pathway students are taking on these same real-world challenges before they even graduate from high school. 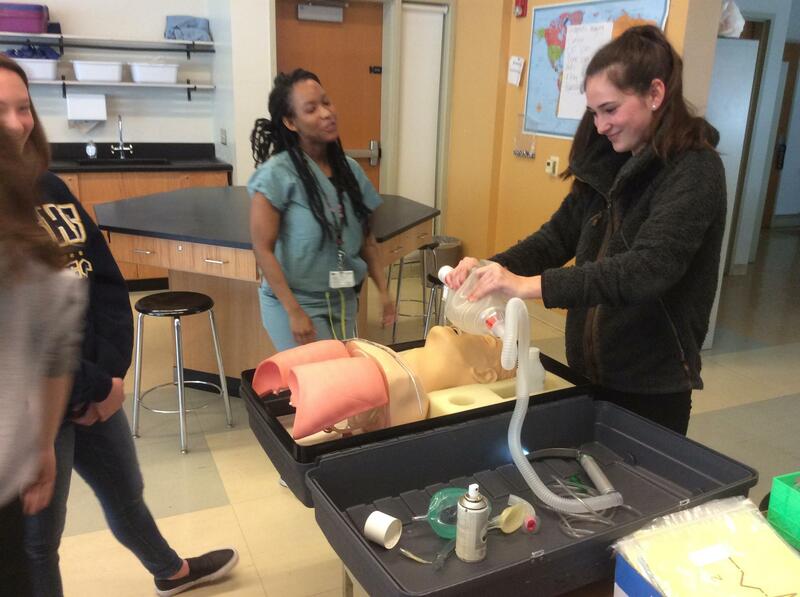 Working with the same tools used by professionals in hospitals and labs, Biomedical Science students engage in compelling, hands-on activities and work together to find solutions to problems. They’ll take away in-demand knowledge and skills they can use for the rest of their lives, on any career path they pursue. 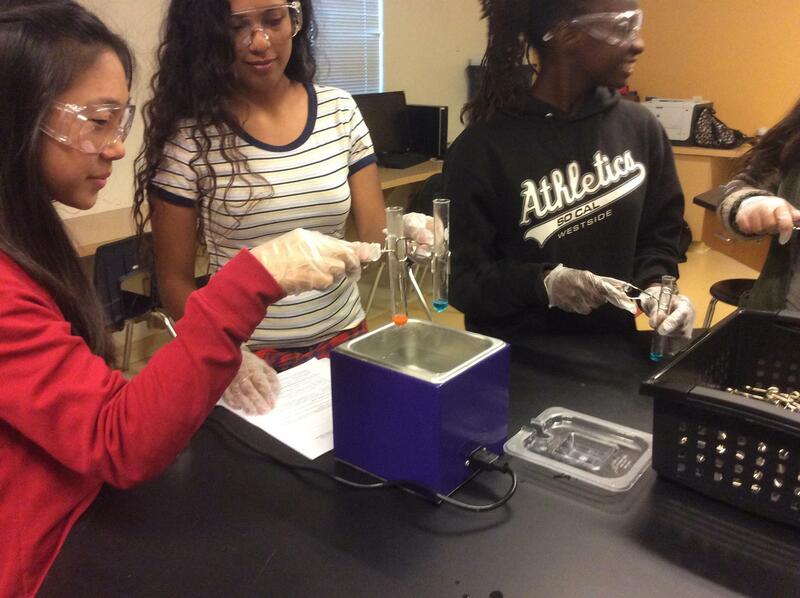 On November 29, 2018, the El Segundo High School Biomedical Science Pathway was awarded the Golden Bell Award from the California School Board Association (CSBA). 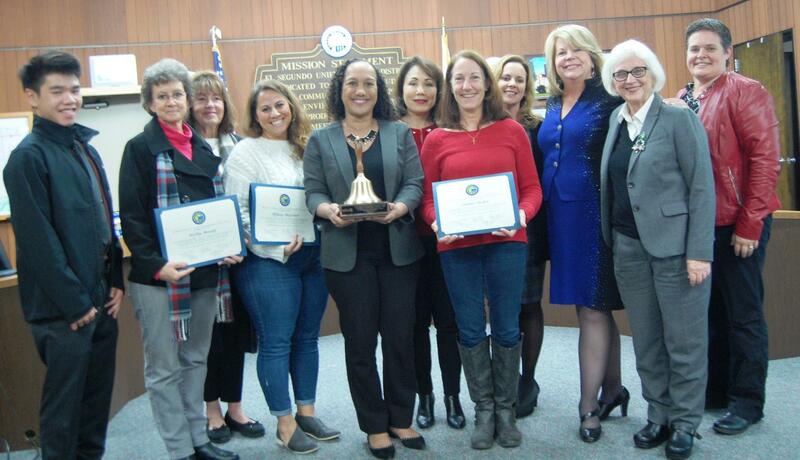 The CSBA rewards the Golden Bell to schools that reflect the depth and breath of education programs and governance decisions supporting these programs that are necessary to address students' changing needs. Among the 240 entries for 20 categories, ESHS was recognized in the Career Technical Education category and was one of ten recipients of a scholarship from the United Association of California Apprenticeship Coordinators to further support the Biomedical Pathway. 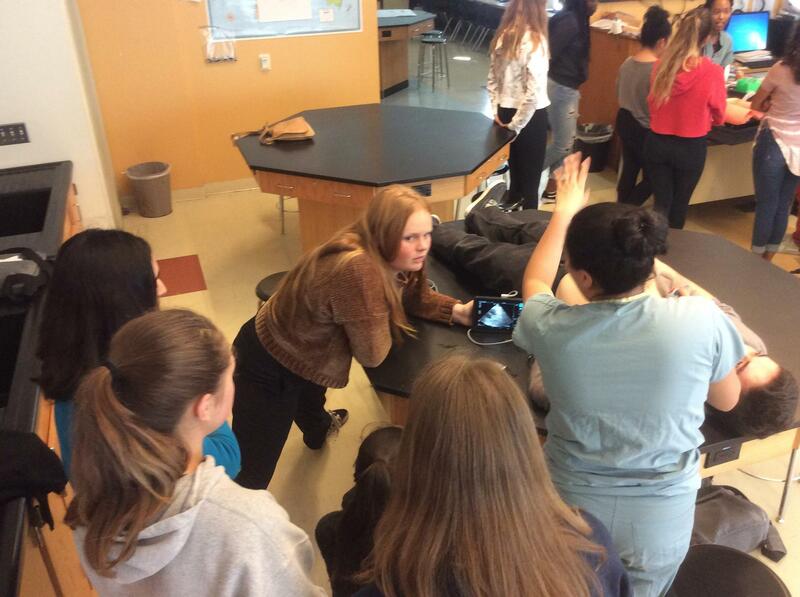 Students choosing the PLTW Biomedical Pathway opt in as freshmen, taking one course per year. 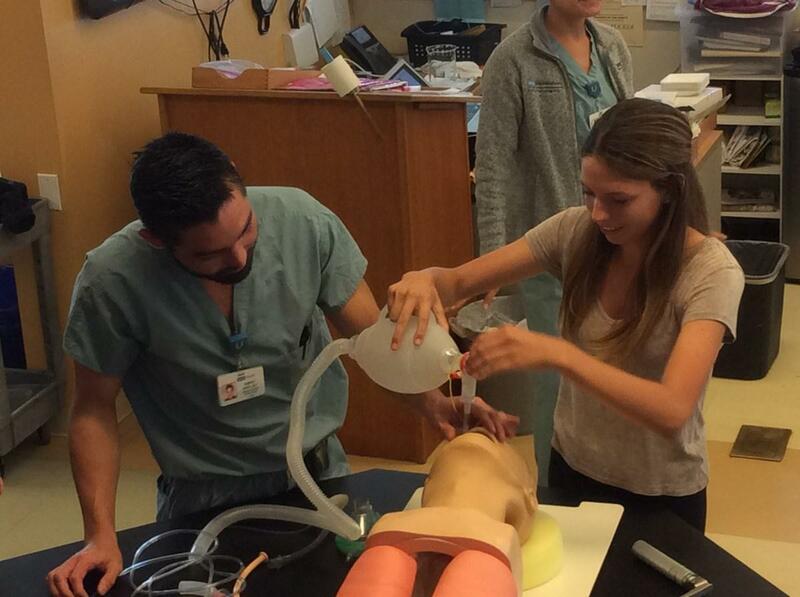 In their senior year, they will also participate in a Capstone Project to be determined with their advisor. These courses are all part of the Advanced Placement (AP) and Project Lead the Way (PLTW) Biomedical Science Pathway. 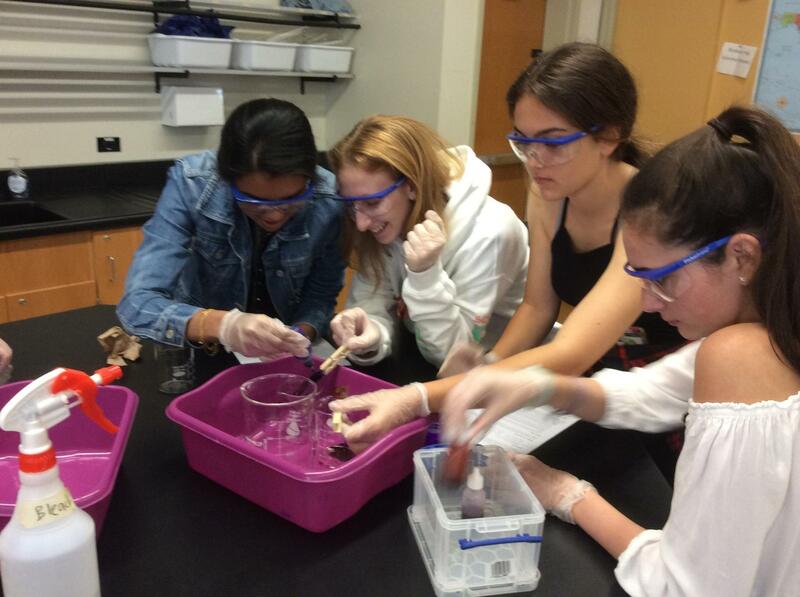 By engaging in activities like dissecting a sheep heart, students explore concepts of biology and medicine to determine factors that led to the death of a fictional person. While investigating the case, students examine autopsy reports, investigate medical history, and explore medical treatments that might have prolonged the person’s life. 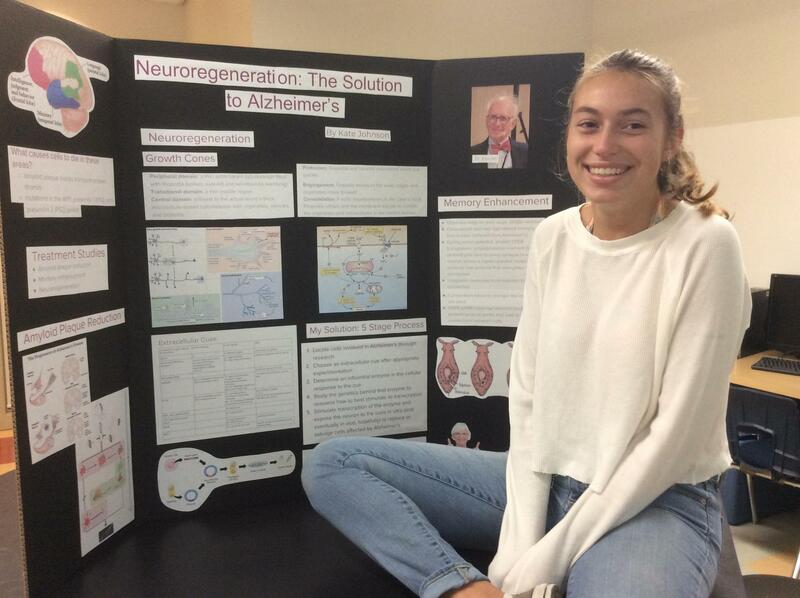 The activities and projects introduce students to human physiology, basic biology, medicine and research processes while allowing them to design their own experiments to solve problems. 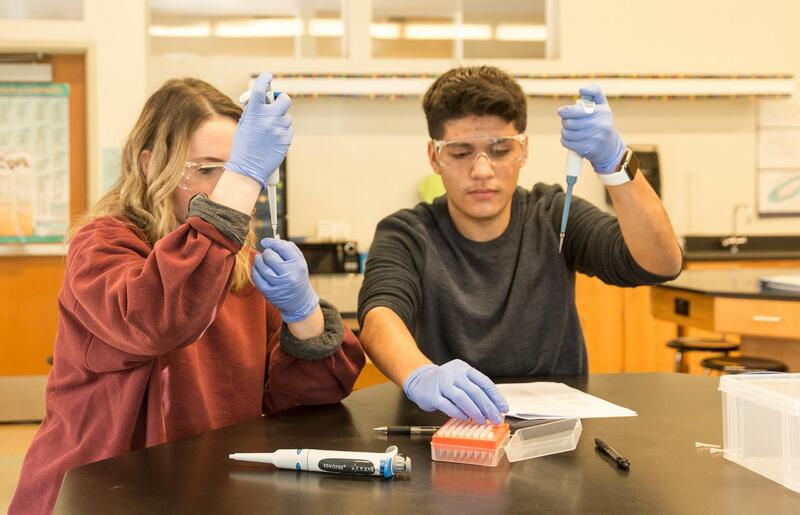 Through projects such as determining the identity of a skeleton using both forensic anthropology and DNA analysis, students examine the interactions of human body systems and apply what they know to solve real-world medical cases. 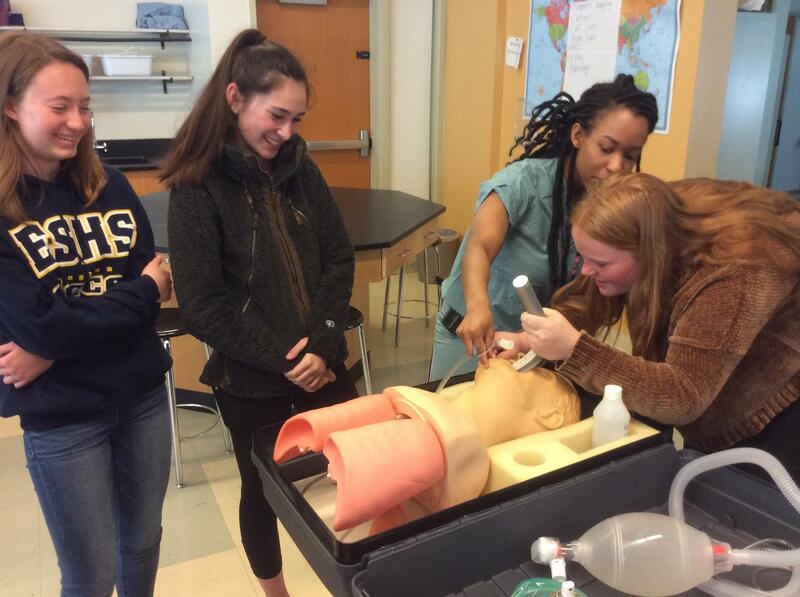 Exploring science in action, students build organs and tissues on a skeletal Maniken®; use data acquisition software to monitor body functions such as muscle movement, reflex and voluntary action, and respiration. 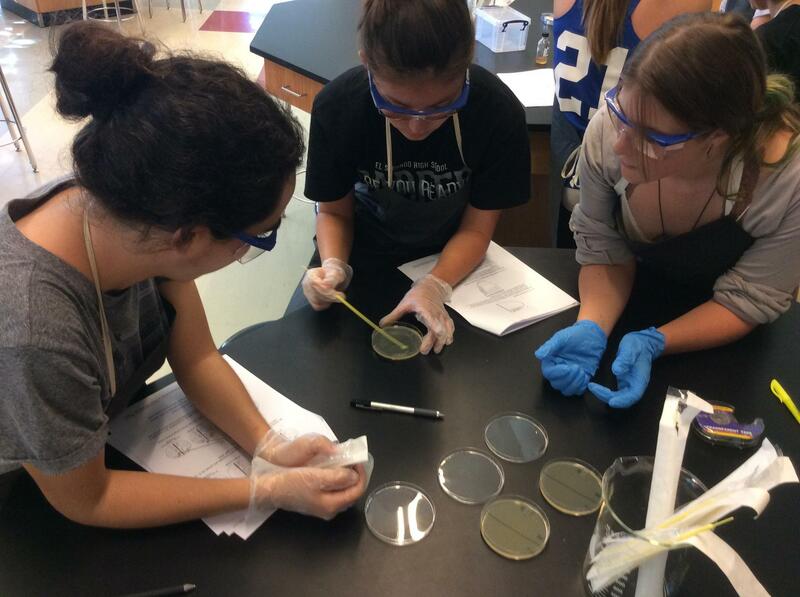 Following the life of a fictitious family, students investigate how to prevent, diagnose and treat disease. They will learn how to detect and fight infection; screen and evaluate the code in human DNA; and weigh cancer treatment options. 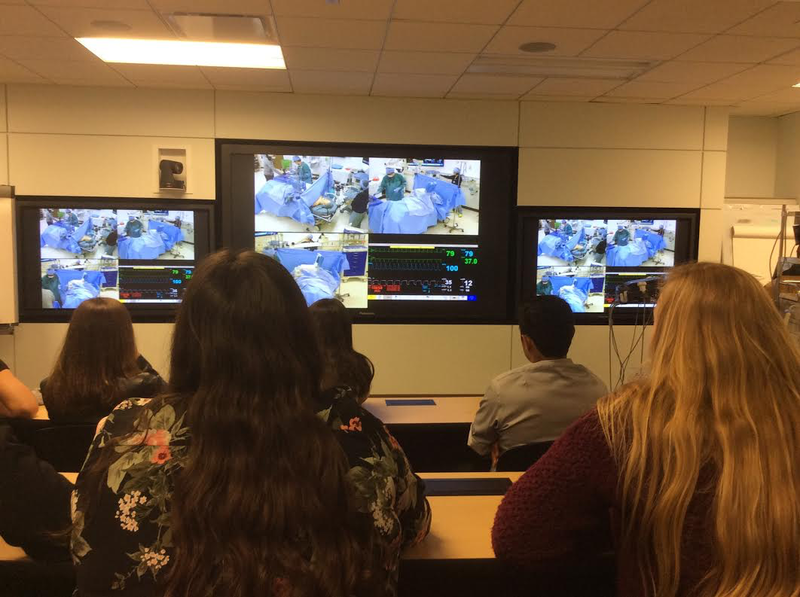 Through real-world cases, students will be exposed to a range of interventions related to immunology, surgery, genetics, pharmacology, medical devices and diagnostics. 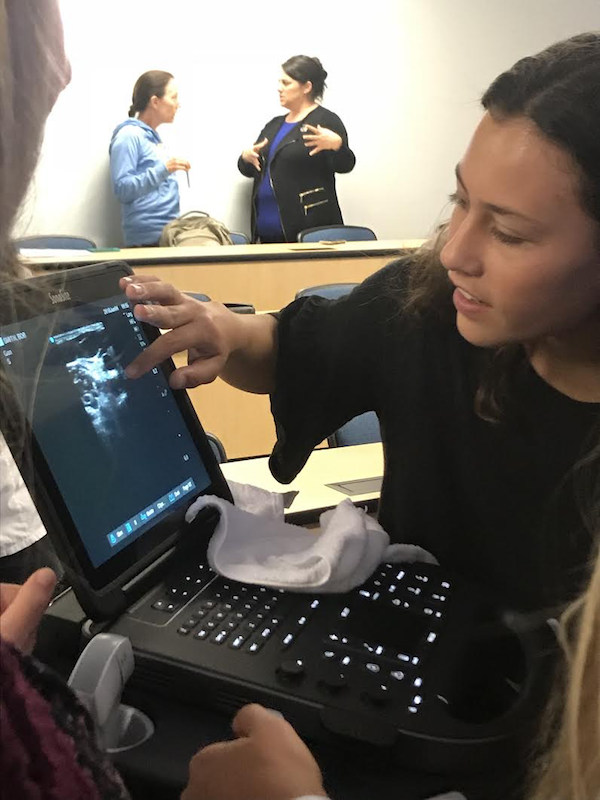 Students build on the knowledge and skills gained from previous courses to design their own innovative solutions for the most pressing health challenges of the 21st century. Addressing topics ranging from public health and biomedical engineering to clinical medicine and physiology, they can work on an independent project with a mentor or advisor from a university, medical facility or research institution. 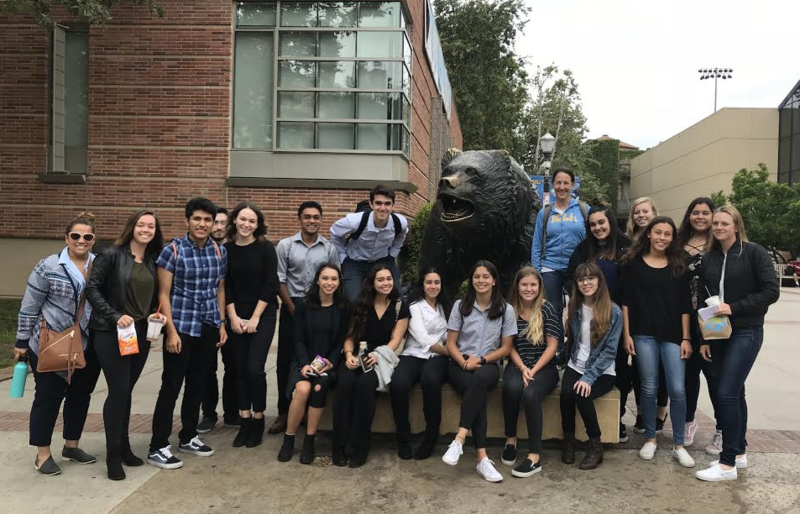 In early 2018, the ESHS Biomedical Science Pathway established a partnership, through Project Lead the Way (PLTW), with UCLA and the California Society of Anesthesiologists (CSA) that offers educational enrichment to its PLTW program. 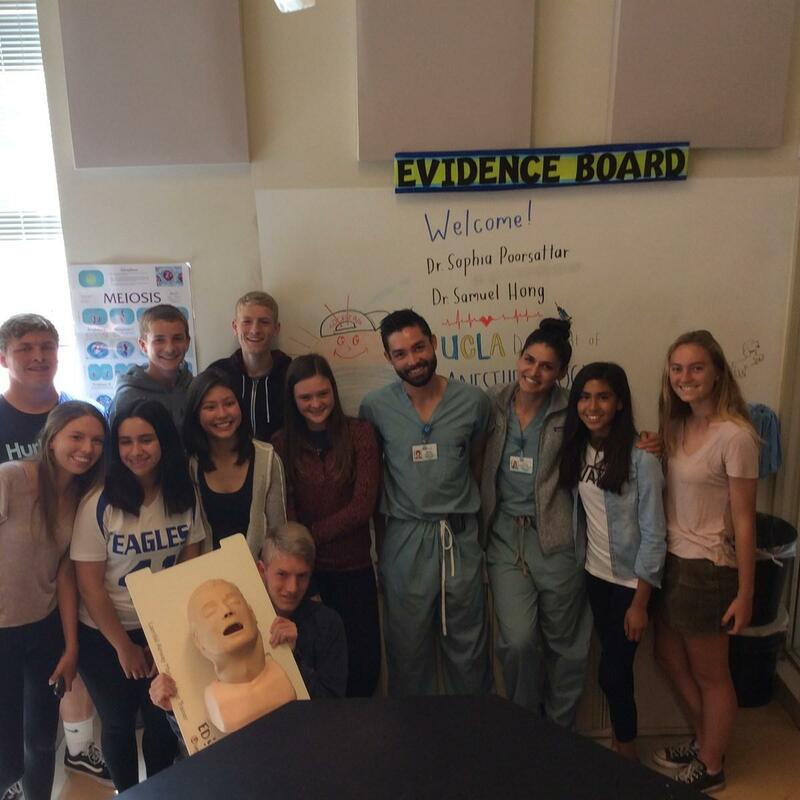 This exciting project brings together specially trained teachers, students and physician residents from UCLA to help deliver real world biomedical skills and application to the ESHS pathway classroom. 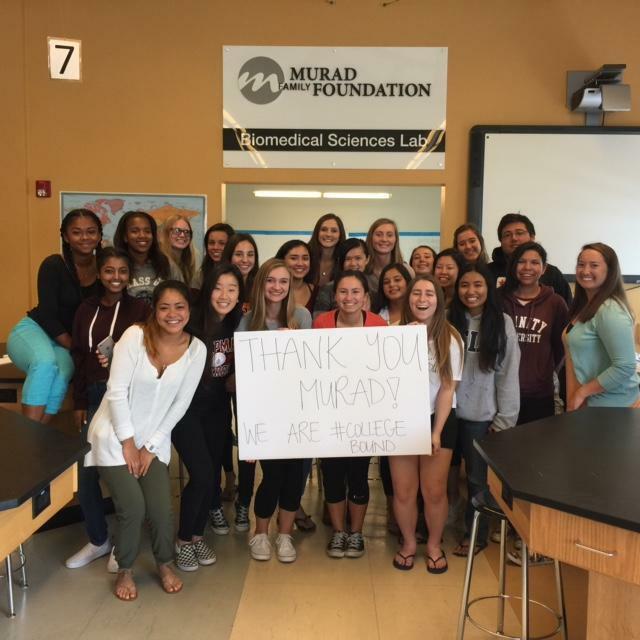 The Biomedical Science Pathway is funded by the El Segundo Education Foundation and donations from Murad.